STACK / Drew Brees (43.54 pts) + Michael Thomas (25.9 pts): It’s safe to say that if the Saints play against a high-powered offense, it’s going to be a shoot out. Thomas caught all 10 targets thrown his way. He’s in a zone and on pace for 210 targets for the season. Is that in the realm of possibility? Sure. Anything is possible. In 2015, three WRs received 190 or more targets; Julio Jones (204), Antonio Brown (193), and DeAndre Hopkins (192). In the two seasons following, the top target count was 175. With a natural regression, I expect Thomas to finish closer to 180 targets. Here’s the rub: when Julio was targeted 204 times, he caught 136 of them (66%). Thus far, Thomas is 38 for 40 (95%). That. Is. Insane. 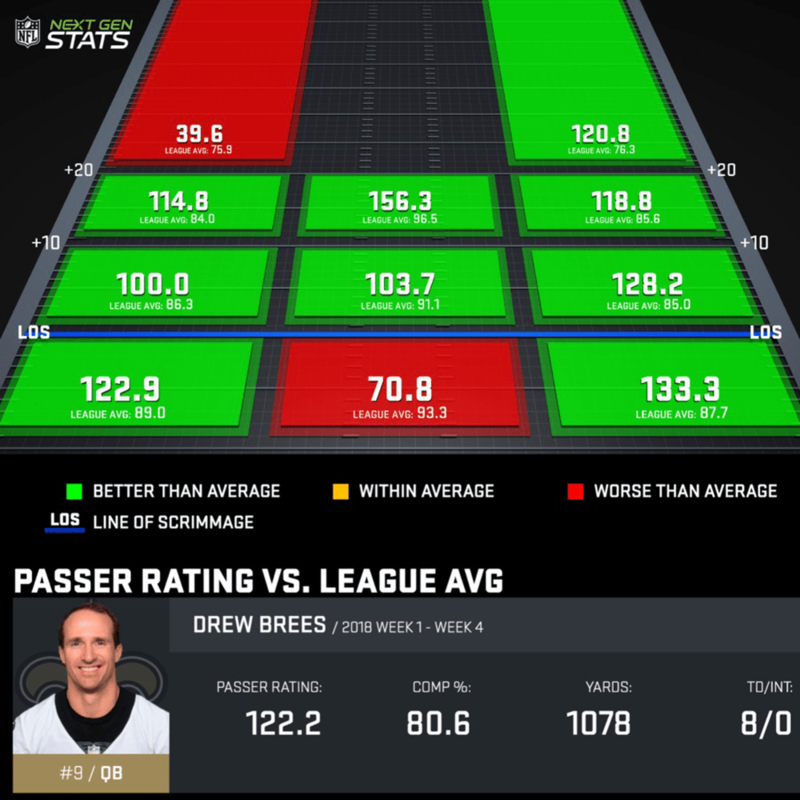 It helps that Brees has a league leading 80.6% completion rate and a 4th ranked 122.2 passer rating. No surprise there. He’s always been one of the leagues more accurate passers. Expect this trend to maintain course for quite sometime, especially if the Saints’ defense continues to lead the league in TDs allowed. Corey Clement (10.5 pts): No. His stat line wasn’t exactly a home run, but at $4,300, he delivered as much as we can expect from an RB3/Flex. He didn’t cost you any games, but he certainly didn’t win you any games either. We’ll take the 10.5 pts and call it a day. EVERYONE ELSE: With Dalvin Cook still ruled out and the Vikings going up against the league’s worst team (at that point), Latavius Murray had the layup. He was primed last Sunday to surpass his projected 13.7 pts. However, the Minnesota offensive line was a disaster. Everyone on the Vikings squad suffered: Cousins, Diggs, Thielen, and of course anyone trying to carry the ball out of the backfield. The Jaguars and Titans decided to play the most unimaginative and boring game of the day. When the teams captains met before the coin toss, they decided neither side should score a TD. What does that mean for us? Garbage. What did that mean for last week’s honorable mentions, Keelan Cole and Donte Moncrief? Hot garbage. 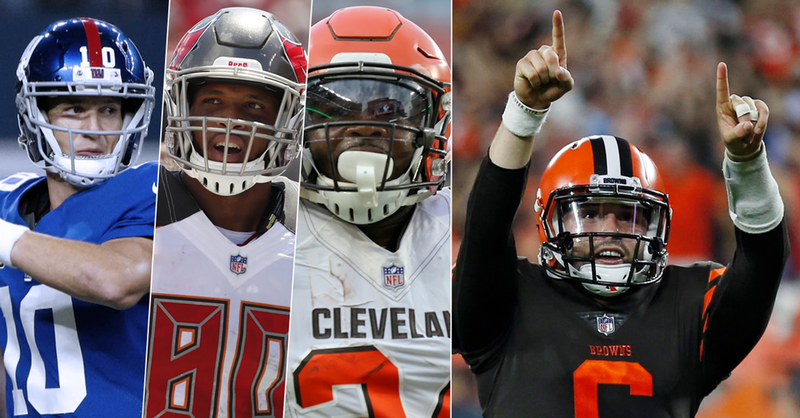 The Bucs took their first loss in week 3. Fitz ran out of magic in the first half, but came back to pulling rabbits out of hats in the back half. Unfortunately, DeSean Jackson only hauled in 3 of 5 targets, for a dismal 37 yards. In the two weeks prior, D-Jax was 9 for 9, tallying 276 yards and 3 scores. Not cool. Not cool at all. 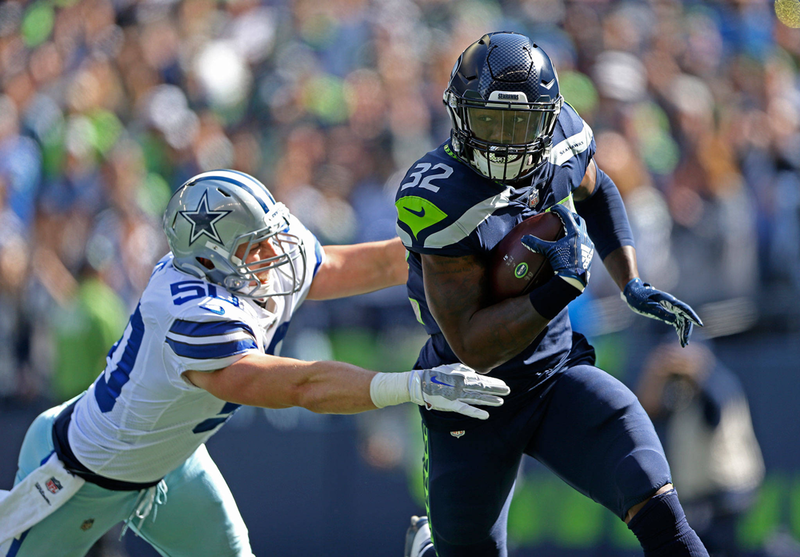 Chris Carson, RB (WAS) $4,600 – Carson finally moved ahead of the pack with a blistering 34 touches last Sunday. He finished with 102 yards, 1 TD, and 2 receptions for 22 yards. Who does he face this Sunday? The Arizona Cardinals. How does that help his outlook? Arizona currently leads the league in rushing TDs allowed (5), 4th in the league for rushing yards per game (131), and allows the most rushing attempts per game (35.3). 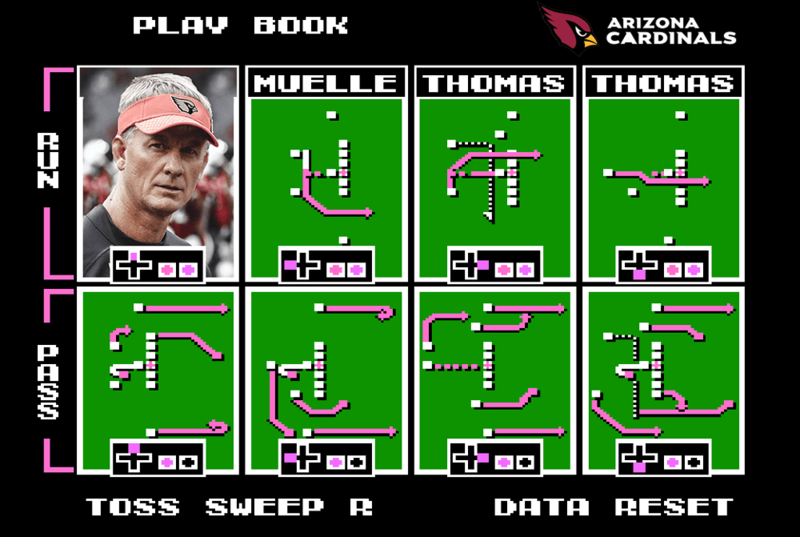 The Cards are winless and since Mike McCoy’s playbook looks straight out of NES’ 1991 Tecmo Super Bowl, Carson is the safest bet to outplay his salary. 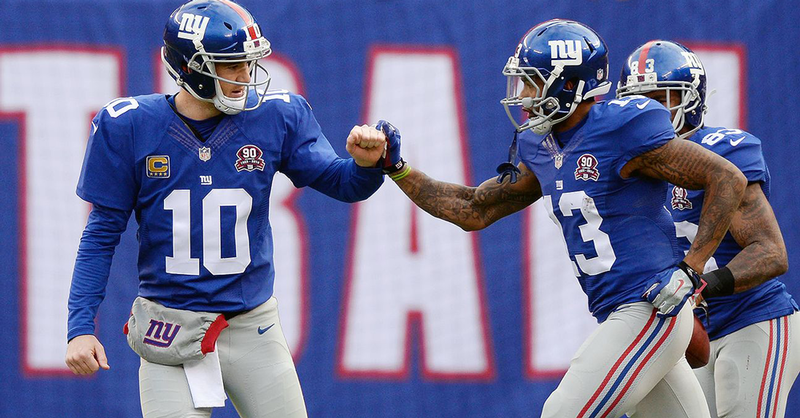 Eli Manning (NYG) $5,600 – I can feel your judgement from across the net. You’re thinking, “really? Eli?” A few notes to consider: the Saints give up the most fantasy points to the QB position, surrenders 336.7 passing yards per game, and Mike Shula made some moves to their offensive line. I believe it’ll be enough for Eli and company to start throwing up some much needed points on the field and in our lineups. Baker Mayfield (CLE) $5,300 – I mean, why not? Full disclosure, I wasn’t on the Mayfield train. Back in April, I just thought he was merely another cautionary Cleveland tale. I humbly report that I’m pretty sure I got this one wrong. Baker was simply electric on the field in week 3. He didn’t throw a TD pass, but his ability to work the tight windows down the field is uncanny. I bet he’s the number 1 waiver wire QB in week 5. Carlos Hyde (CLE) $5,500 – Hyde quitely averages 16.6 FPPG and still cost significantly less than the likes of David Johnson and Jordan Howard, whom he’s out performing. Currently healthy and considering the Mayfield effect, I’m firing him up in all of my DFS lineups. O.J. Howard (TB) $3,500 – Even though he’s averaging 13.07 FPPG, he’s a risky play since the Bucs travel to Chicago to take on the league’s hottest defense, led by Khalil Mack. With that, I wonder how many times Fitz will be forced to dump the ball to his TEs. There’s no way Mack is letting Fitz remain comfortable in the pocket. 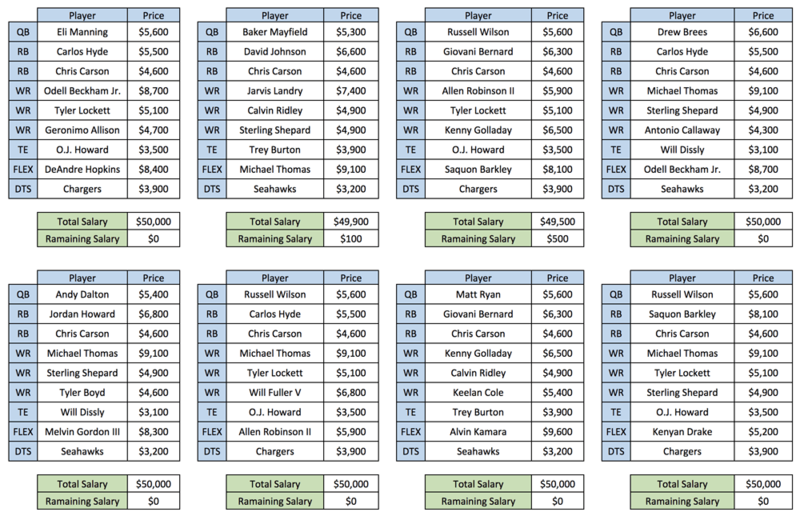 In a previous article I discussed the benefits of stacking a QB and a WR/TE, a popular gaming method in DFS that pays dividends. Every week I draw up recommended rosters; meant to give you a few ideas of how to balance your line up. One of last week’s was good enough for a top 50 finish in the tournaments. The salaries are taken from Draftkings. Entering 50/50 contests is the absolute best way to win and double your money. If you decide to go all in and chase the big money, just be sure to enter a few 50/50s to ensure you win your money back. I wish you good luck and good fortune.